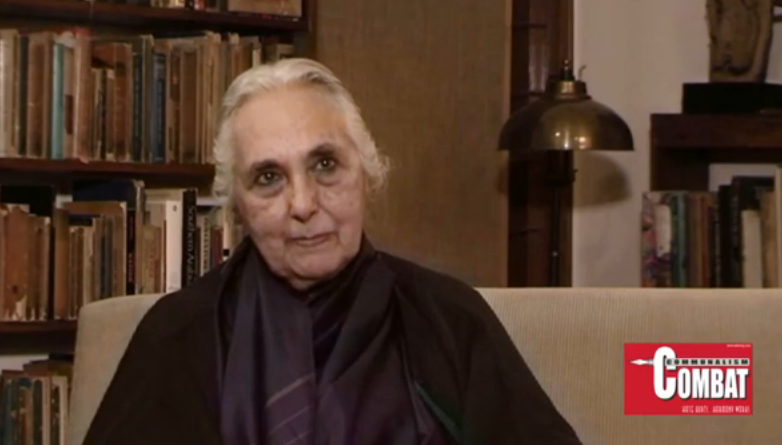 In an exhaustive and incisive interview Professor Romila Thapar, Emeritus Professor of History at the Jawaharlal Nehru University, Delhi and Hon D.Litt in both the University of Oxford and University of Chicago speaks to Teesta Setalvad in her special show on Communalism Combat and Hillele TV. Twice that is in 1992 and 2005 she has refused the Padmabhushan a State Award, enhancing her stature even further. And in 2008 she has awarded the prestigious Kluge Prize for the Study of Humanity, an honour reserved for disciplines like history which are not covered by the Nobel Prize. An author of path breaking approaches to history, from Asoka and the Decline of the Mauryas to Past As Present: Forging Contemporary Identities through History, Professor Thapar has navigated the world of history through a multi-dimensional and incisive lens. She speaks on the criticality of independence and courage in the Public Intellectual especially today, given the authoritarian tendencies of the regime in power in New Delhi. The function of the public intellectual is to make knowledge accessible and protect it from distortion, it is essential that knowledge advances through questioning says Professor Romila Thapar in a most exhaustive interview to Teesta Setalvad . 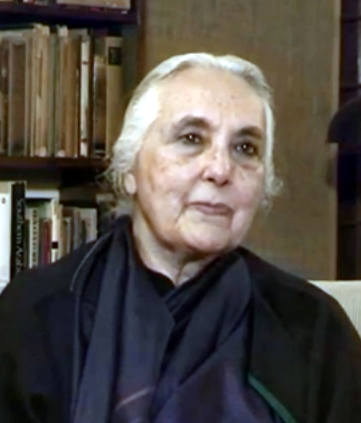 In an exhaustive and incisive interview Professor Romila Thapar, Emeritus Professor of History at the Jawaharlal Nehru University, Delhi and Hon D.Litt in both the University of Oxford and University of Chicago speaks to Teesta Setalvad in her special show on Communalism Combat and Hillele TV. Twice that is in 1992 and 2005 she has refused the Padmabhushan a State Award, enhancing her stature even further. And in 2008 she has awarded the prestigious Kluge Prize for the Study of Humanity, an honour reserved for disciplines like history which are not covered by the Nobel Prize. An author of path breaking approaches to history, from Asoka and the Decline of the Mauryas to Past As Present: Forging Contemporary Identities through History, Professor Thapar has navigated the world of history through a multi-dimensional and incisive lens. She speaks on the criticality of independence and courage in the Public Intellectual especially today, given the authoritarian tendencies of the regime in power in New Delhi. Our early Indian traditions were questioning and skeptical always testing knowledge through the prism of rationality, and today faced with the p9olitical challenges dictated by the current regime in Delhi, it is essential that we proudly claim this tradition and not succumb to pre-dominant, irrational discourse, Thapar has stressed. Young persons must learn to understand that the very purpose of education is that we have an intelligent approach to knowledge gathering. fascinating incites on early travelers into the Indian sub-continent, be it the Greeks, the Chinese or Al Beruni. Professor Thapar, in this conversation, that also delves into the sensitive issues of the gender dimensions of history, critical thinking and the constant duality within the Indian tradition that Megasthenes described as the two parallel streams represented by the ‘Brahmans’ and the ‘Shramans’ offers a complex understanding of our past that is invaluable.